While assigned to the French Ecole Militaire as professor and liaison from the US Army, we lived in a western Paris suburb named Garches. Just south of the city is the Parc de Saint Cloud, a magnificent park with gardens, fountains, bike paths, and a spectacular view of Paris. I would frequently go for runs or bike rides in the park. On the western end, near Marnes le Coquette, not far from the Garches train station, and less than a half mile from our house is a sub park named for Lafayette. I had heard about it and knew the American School of Paris in St. Cloud that three of my children attended held Memorial Day ceremonies there. I assumed it was a memorial to the Marquis de Lafayette. One early morning on a run in the park I decided to divert to go look at the Lafayette Memorial. It would become a defining moment for me. As I approached from the tree lined path there was a sign that read in French “Here lie American heroes….” I picked up the pace, now excited that there was something more here. Soon the path opened to a wide meadow at the end of which rose a massive arch with a reflecting pool at its feet. I slowed to a walk as I approached and could make out the Indianhead symbol near the top. Awestruck, I realized that this was not a monument to the Marquis, but to the Americans who had flown with the French in World War I! I slowly walked around the arch reading the names of James McConnell, Raoul Lufbery, Victor Chapman, realizing that these men were actually interred there under the arch. I’d read about them in high school and followed their path to the degree possible flying with the French in France and later in combat. It was like being struck by lightning. I felt chills and growing excitement as it occurred to me that this was the story I dreamt of telling. That morning shortly after dawn, alone in the shadow of the memorial, I knew I was destined to write their story. 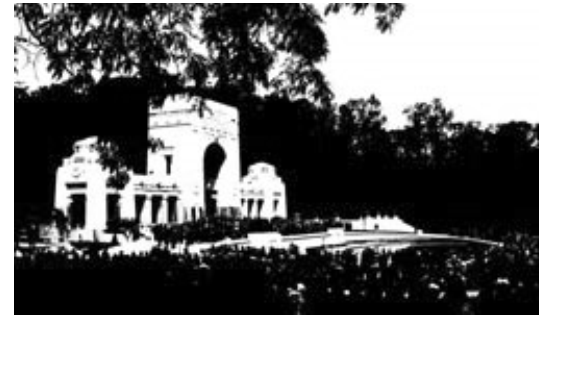 Note: The WWI Centennial Commission is supporting a restoration of this monument and a rededication to be held in April 2016, in Garches, France. As I plotted how to get Charles Keeler to France I made up a ship named SS Rochambeau. 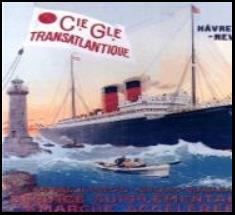 I had no idea there was such a ship, nor that some of the actual members of the Lafayette Escadrille (Norman Prince, Edmond Genet) had actually sailed to France on this vessel. This is only one of many “coincidences” that have peppered writing this book.